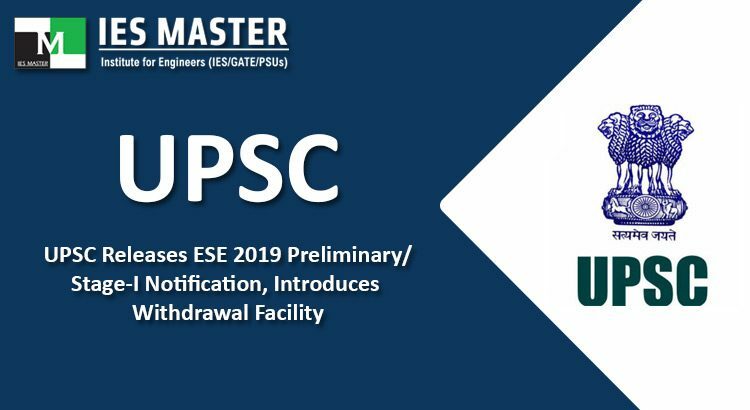 The Union Public Service Commission (UPSC) has announced the date for conducting Engineering Services Examination (ESE) 2019. The ESE Prelims 2019 will be conducted on 6 January, 2019 across India at 42 examination centres. UPSC is looking forward to fill around 581 vacancies through ESE 2019. The announced 581 vacancies include 34 vacancies for Persons with Benchmark Disabilities (PwBD), of which 23 will be reserved for Locomotor Disability (LDCP) including Cerebral Palsy, Leprosy cured, Dwarfism, Acid Attack victims and Muscular Dystrophy, and 11 vacancies for Hard of Hearing (HI). For candidates belonging to SC, ST, PD and OBC categories, reservations will be made by the Government of India as per the vacancies. 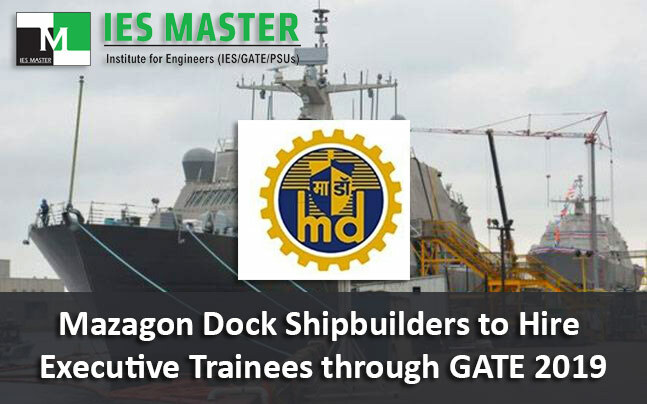 Mazagon Dock Shipbuilders Limited (MDL) has announced its recruitment plan for Executive Trainees (ET) from Mechanical and Electrical streams on the basis of GATE 2019 scores. Candidates interested in Mazagon Dock Shipbuilders PSU can submit their applications online from 9 January, 2019 to 7 February, 2019. 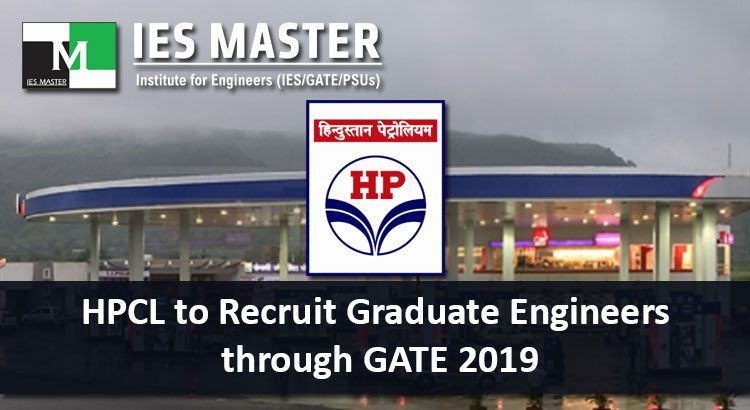 Hindustan Petroleum Corporation Ltd. (HPCL) is going to hire Graduate Engineers on the basis of GATE 2019 scores. The Graduate Engineers would be selected from Mechanical, Civil, and Chemical Engineering disciplines. 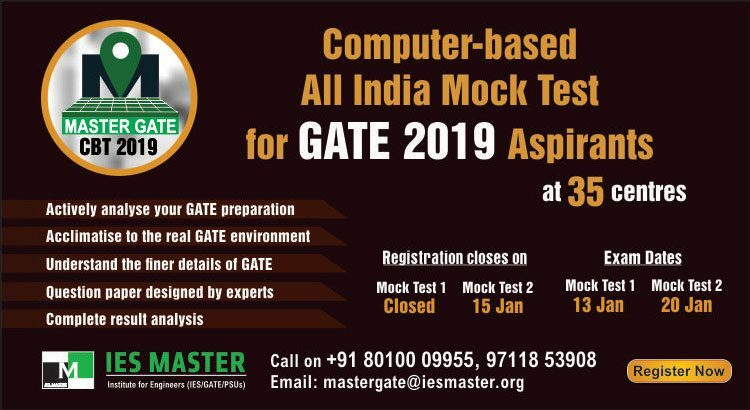 The eligible candidates should qualify GATE 2019 that is going to be conducted in the month of February 2019 on 02, 03 and 09, 10 dates. 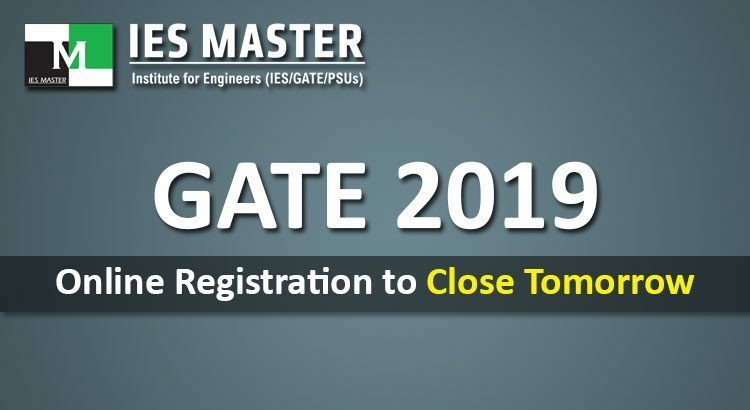 IIT Madras is going to close the normal online registration process through GATE Online Application Processing System (GOAPS) for GATE 2019 tomorrow i.e. on 21 September, 2018. 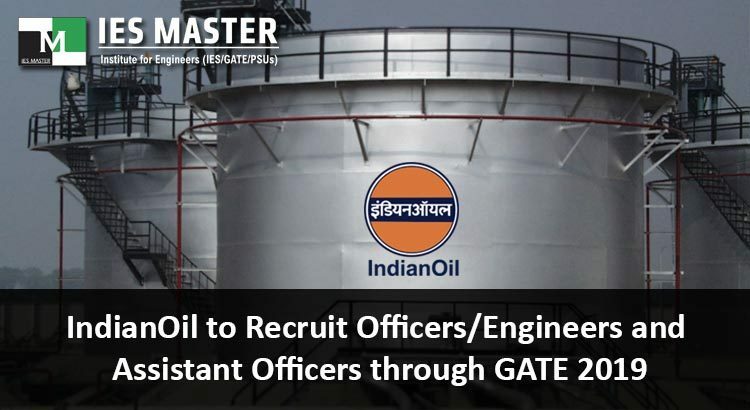 However, candidates who wish to write GATE 2019 can still apply online by paying an extra amount of Rs. 500. 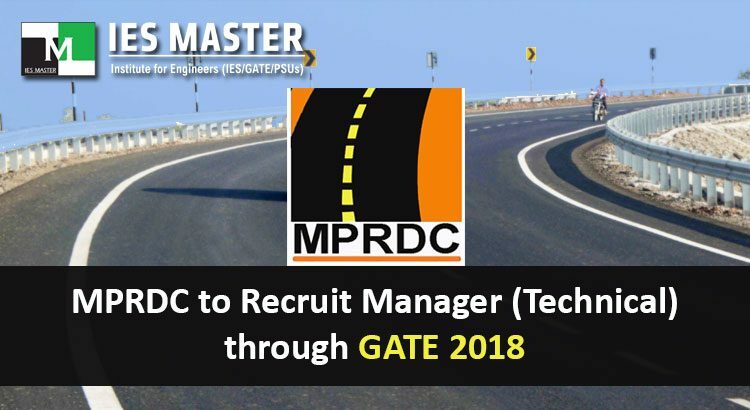 The last date for applying for GATE 2019 by paying this extra amount would be 01 October, 2018. This extension of registration date with late fee is a new feature that has been introduced by IIT Madras this year. IIT Madras will completely close the registration process for GATE 2019 after 01 October, 2018. To be a master in any subject or topic, it is very important to practice it as much as you can, and the time permits. The same applies to preparing for GATE, which is one of the most competitive exams for engineering students. Every year the GATE exam is written by lakhs of engineering students who want to either pursue higher studies from top institutes like IITs and IISCs, or want to begin their professional career as engineers while working for any reputed PSU. 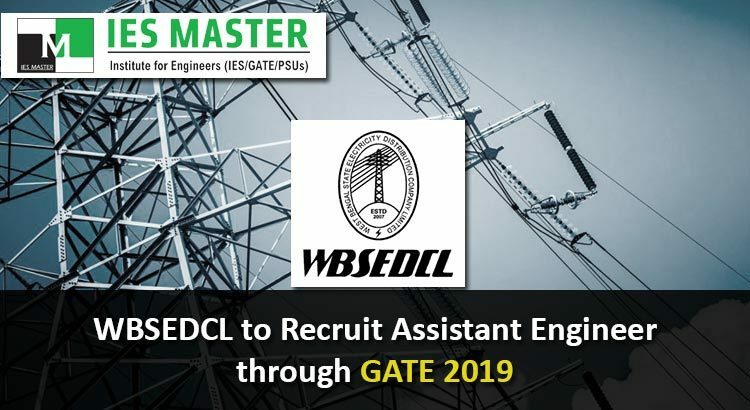 Maharashtra State Electricity Transmission Co. Ltd. (MSETCL or MahaTransco) has released its Assistant Engineers (AE) recruitment plan through GATE 2019 exam. 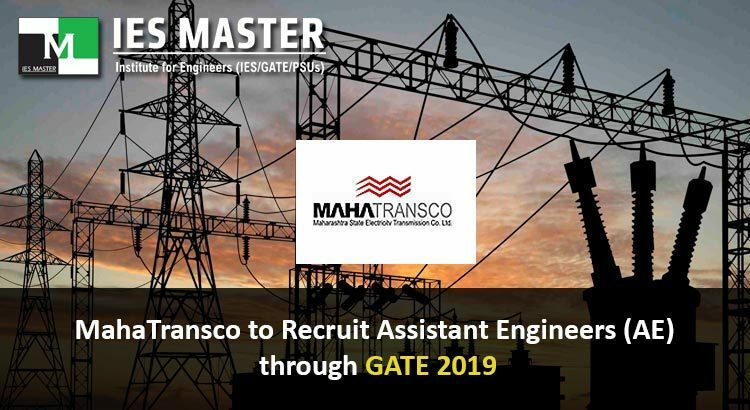 MahaTransco will be recruiting entry level engineers i.e. Assistant Engineers from Electrical and Civil Disciplines on the basis of their GATE 2019 scores. 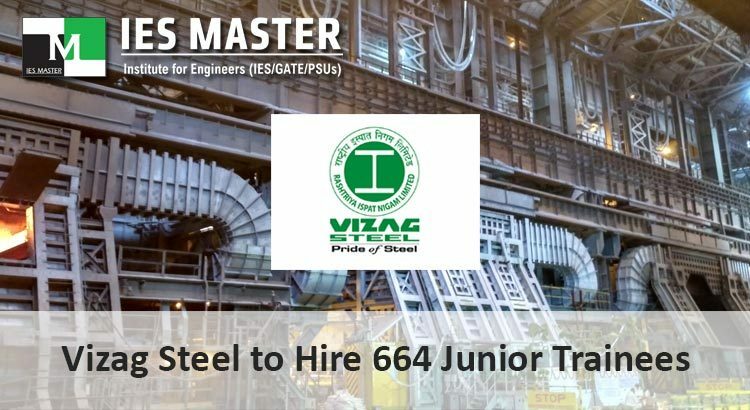 Rashtriya Ispat Nigam Limited (RINL), the corporate entity of Visakhapatnam Steel Plant (VSP), which is also known as Vizag Steel, has announced its plan to hire 664 Junior Trainees from Electrical, Mechanical, Metallurgy, and Instrumentation streams. The recruitment process of Junior Trainees will include an Online Based Test of two hours followed by certificate verification and medical examination. Eligible registered candidates will have to appear for Online Computer Based test at the designated centre at their own expense. 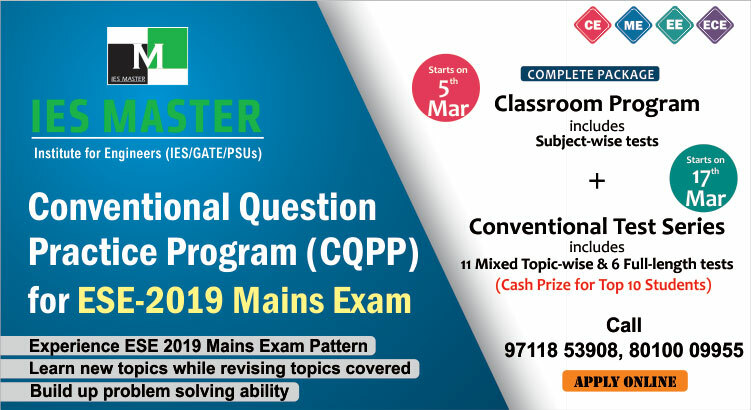 Candidates have to choose any one city from Bhubaneswar, Chennai, Delhi, Hyderabad, Kolkata, Kakinada, Mumbai, Patna, Ranchi, Rajahmundry, Vijayawada, Visakhapatnam, and Vijayanagaram to take the online test.